E-Commerce sellers in Bangladesh will come across a big change from the financial year 2017-18. The implementation of GST Bill w.e.f 1st July 2017 will be a game changer for the entire economy, including this segment. With the Goods and Service Tax put into place, the motto of "one nation, one tax" will be materialized. The bill has been introduced to simplify the tax structure and prevent tax evasion. However, all businesses, including e-commerce, need to gear up for the change. At Nano It World, we will assist your e-commerce business to make this transition a smooth one. Our expert developers will work on the requisite changes that would make your e-commerce store GST-compatible. We bring reliable customization solutions to ensure that your business runs smoothly in the face of this big change. On the surface, GST seems to simplify things for online retailers, with uniform taxation and reduced paperwork. However, certain complexities are expected later when the bill will come into actual implementation. 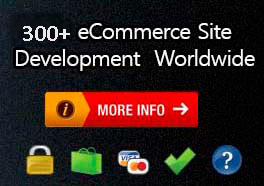 There will be new challenges that e-commerce store will have to face. With standard tax rates for all states, online sellers will lose their advantage. They will come at the same costing and pricing levels with the offline sellers. Cash flows will be affected as the sales have to be subjected to tax collection at source by marketplaces. All sellers would have to get registered and declare their sales by monthly tax filing. The cost of storage and warehousing are likely to go up for the e-commerce sellers. With such challenges, sellers would need to align their stores to tackle them successfully. They need to make certain tweaks in the e-commerce platforms for this purpose. These include changes related to the product catalogue, payment collection, invoice generation, and monthly GST filing. We serve enterprises with upgrade and customization to deal with all these issues. We bring end-to-end e-commerce solutions for clients across diverse industries. 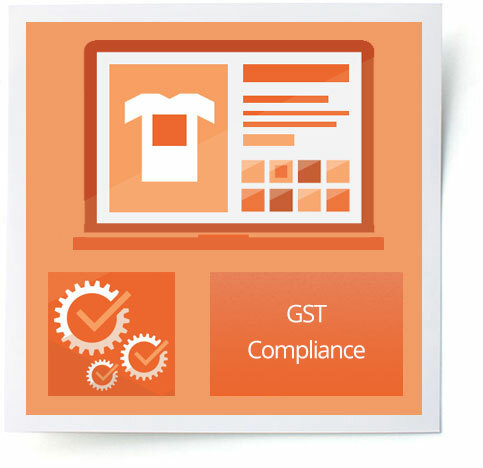 Making the online stores GST compliant is the latest addition to our extensive range of services. We are experts in Magento customization and can help clients to customize their stores for GST compatibility. Our experts follow a client-centric approach. We understand the client's business and create solutions that make it ready for the new taxation rules. We focus on delivering high-quality yet cost-effective services. Our endeavour is to make the business ready for GST in time. Our professional team is dedicated to providing round-the-clock support to the clients so that they can deal with the complexities of the new taxation system.